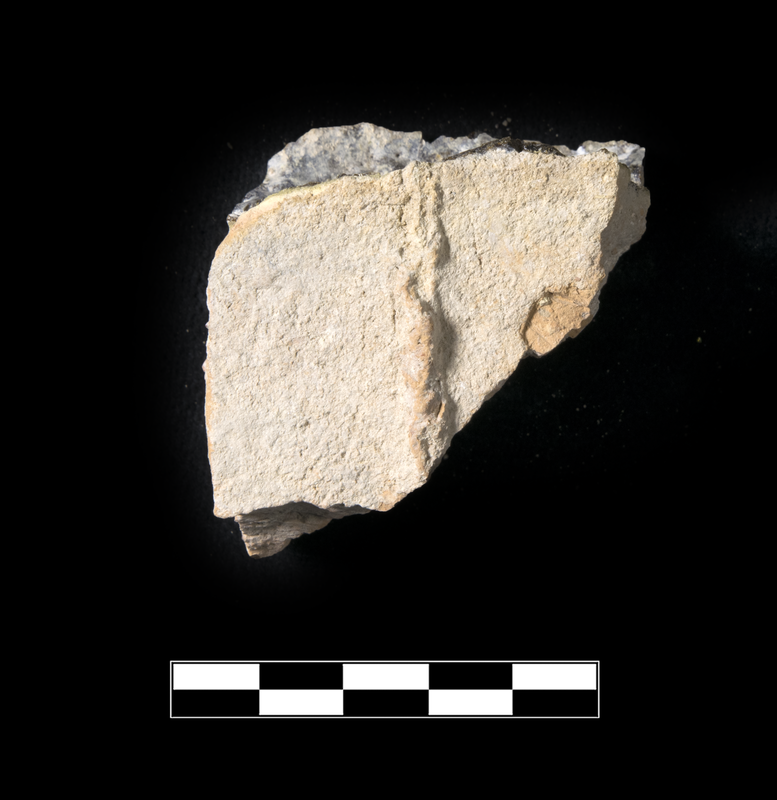 KTH1294 was stored with these fragments but separated for inventory. 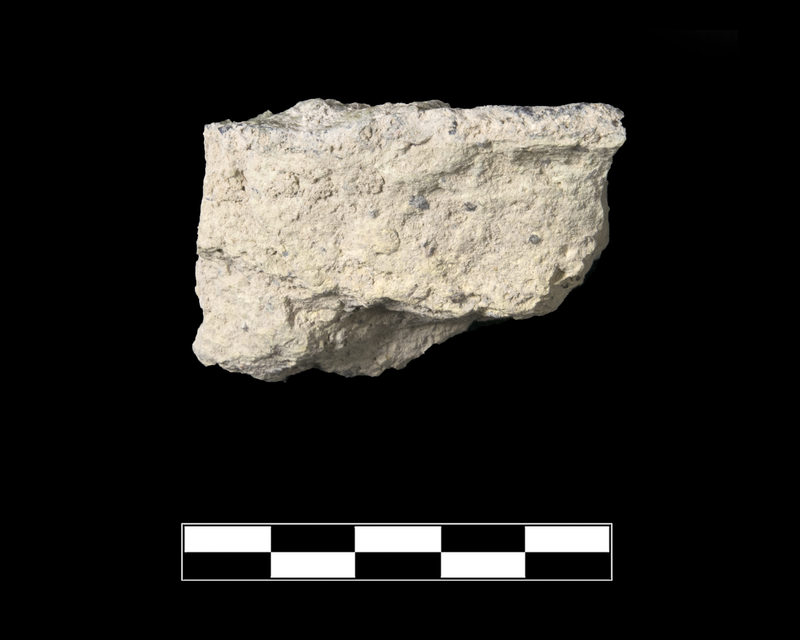 Fragments of brick-like terracotta each with one, somewhat narrowly concave surface coated with glass. 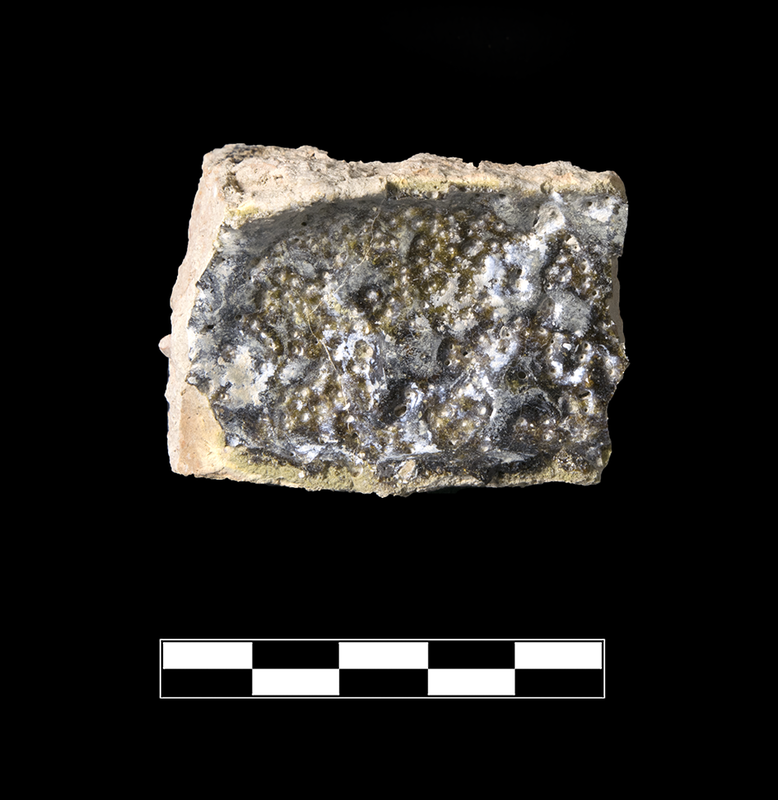 Remains of glass crucible? tubular channels? Cf. KTH110a-c, KTH128, KTH150, KTH212, KTH2116. Fr. a: Four broken edges but preserves original thickness. 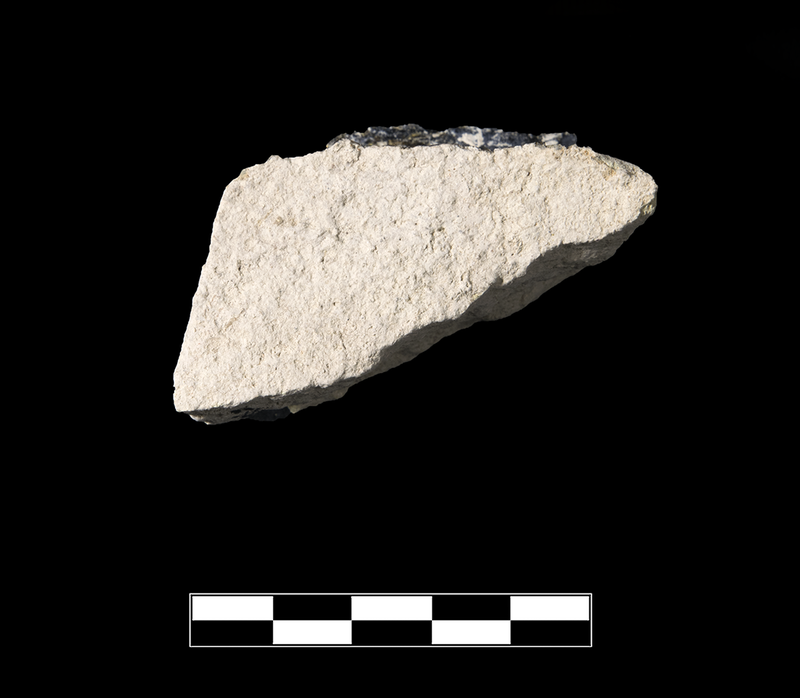 Glass surface concave; glassy layer a brownish black, varying in thickness, extending beyond edges, and penetrated by numerous small holes (some thermal and some erosive from spalling of coarse inclusions). p.L. 0.059, p.W. 0.040, Th. 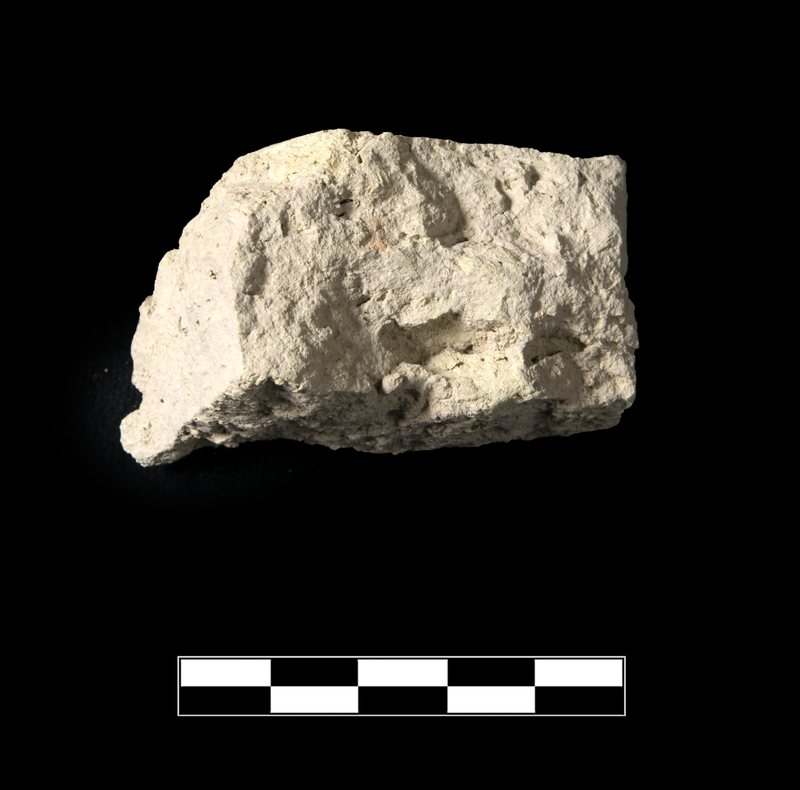 sherd 0.035, Th. glass 0.001-0.003 m. Fr. b: Four broken edges but preserves original thickness Low ridge along one surface: seam from molding?. 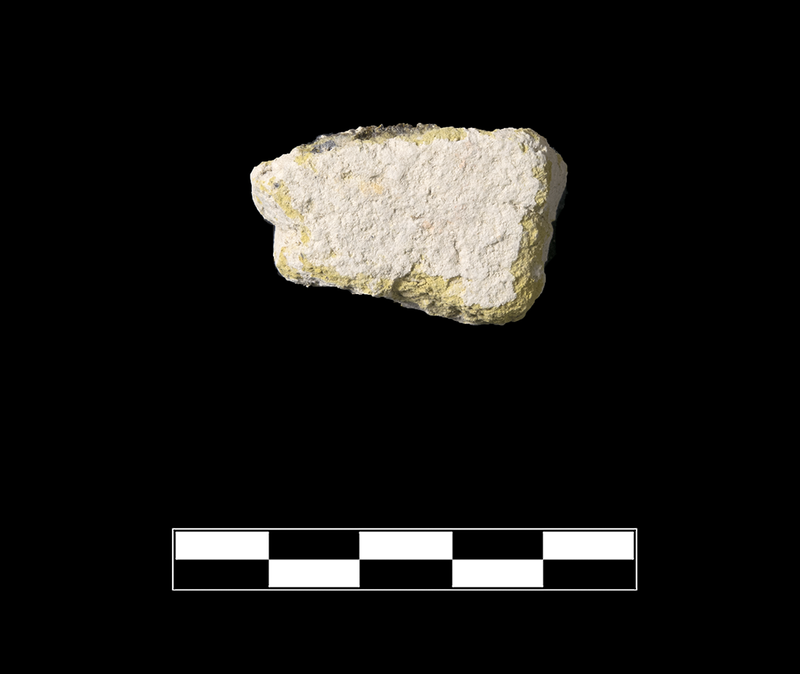 Fabric is less buff, more orangish tan compared to other fragments. Glass surface very concave; glassy layer bumpy with many pinprick and larger bubbles. p.L. 0.050, p.W. 0.045, Th. 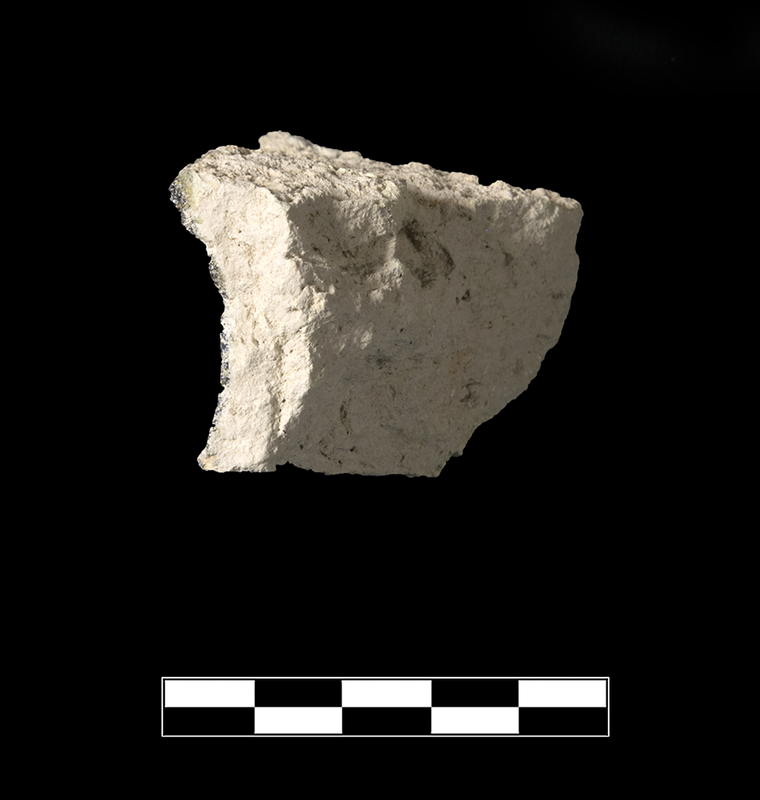 sherd 0.035, Th. glass 0.001-0.0023 m. Fr. 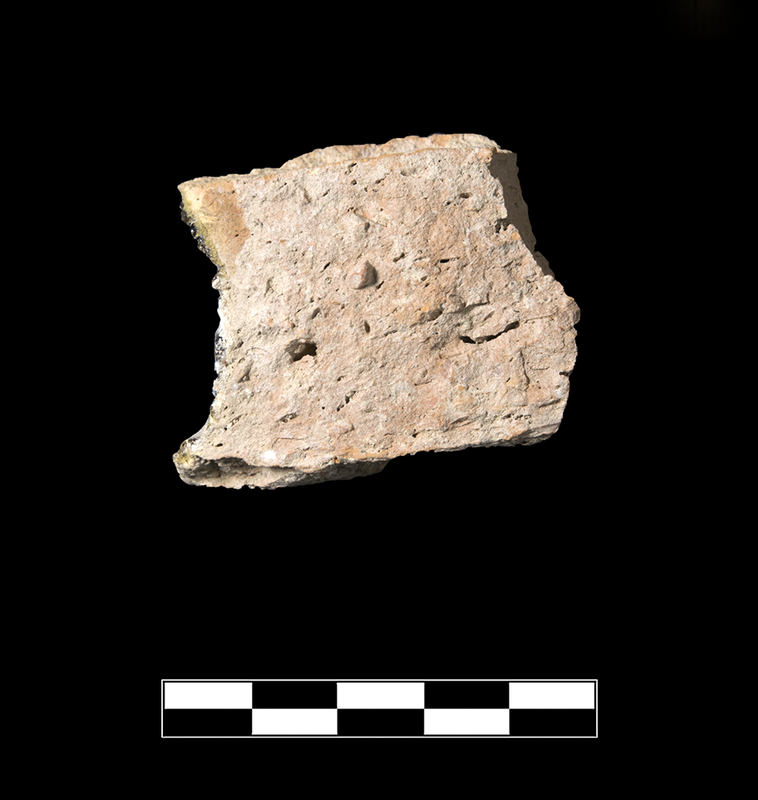 c: Four broken edges but preserves original thickness of tile. 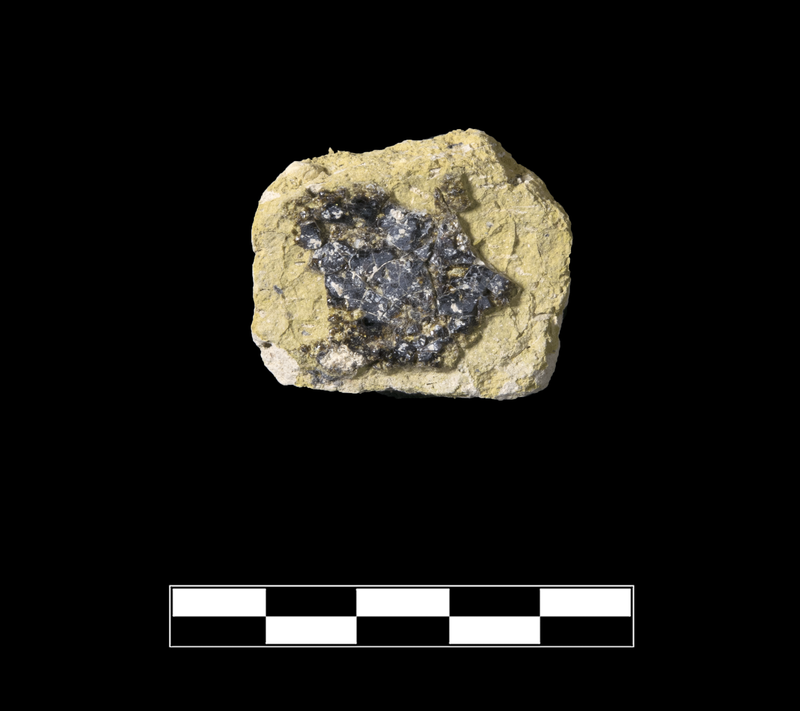 Glass surface very concave, black, penetrated by small holes and voids. p.L. 0.054, p.W. 0.030, Th. 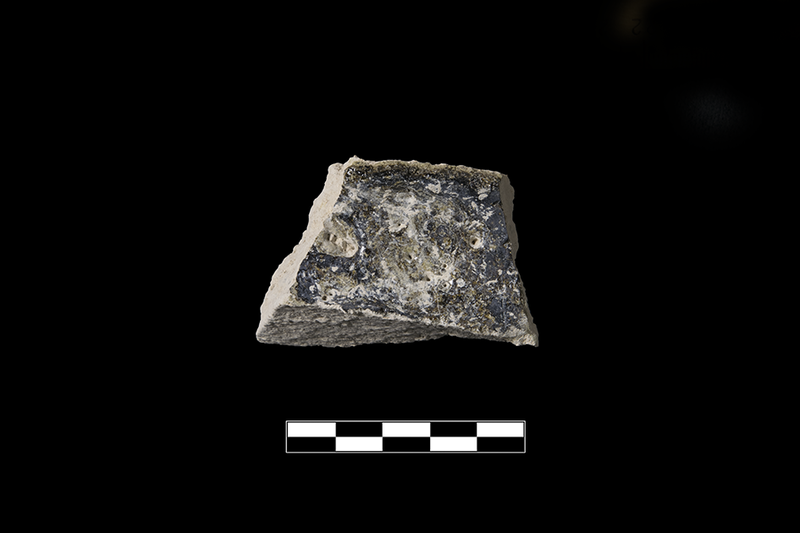 sherd 0.033, Th. glass 0.0008-0.0042 m. Fr. d: Fractured on all sides but preserves original thickness. 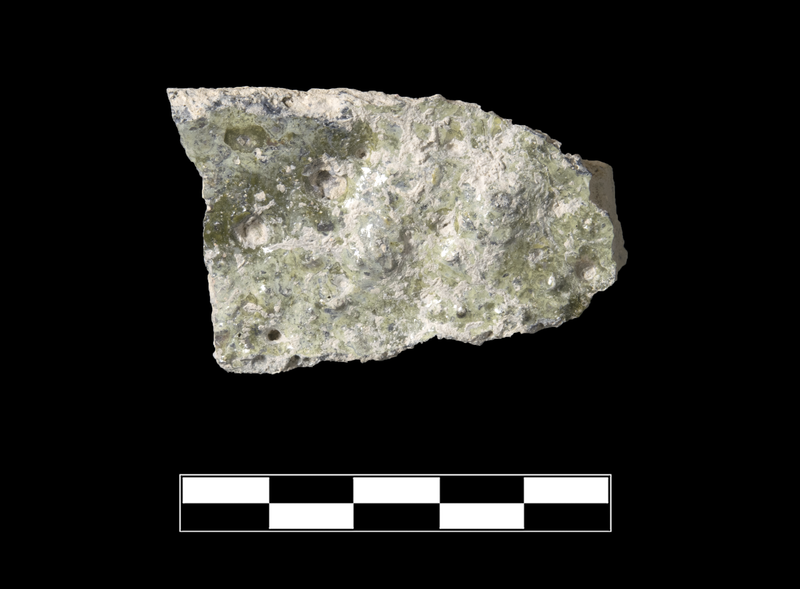 Glass surface level but bumpy, yellowish-green, penetrated by several medium-sized holes. p.L. 0.050, p.W. 0.030, Th. 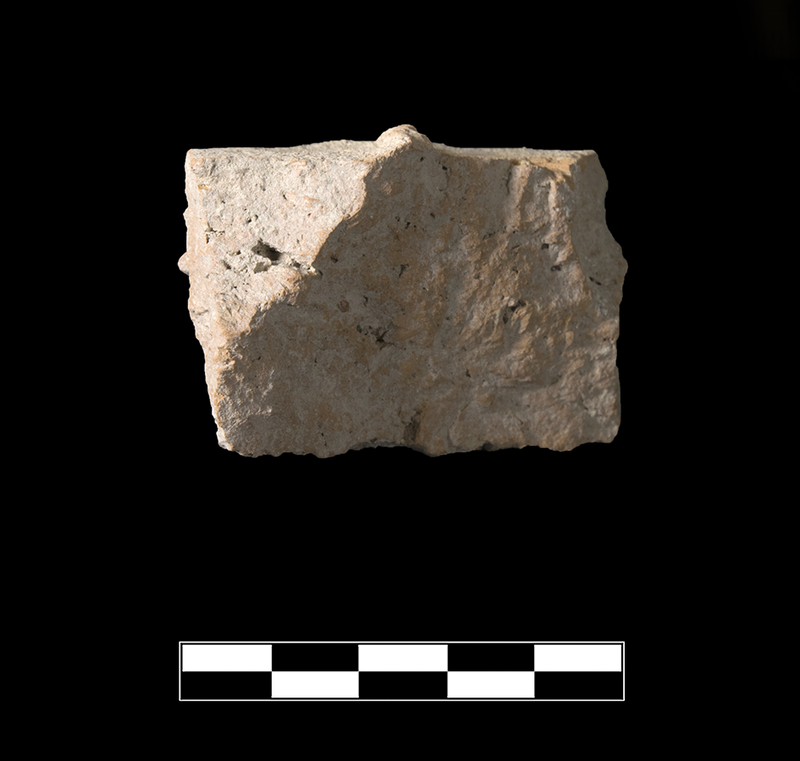 sherd 0.036, Th. glass 0.0004-0.005 m. Fr. e: Fractured on all sides. 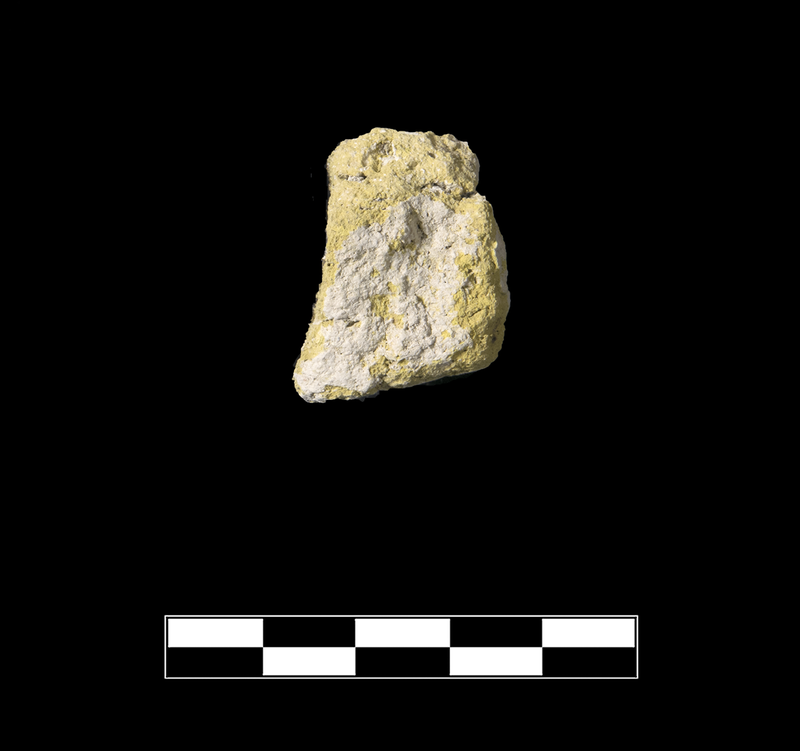 Fabric is burned to a crumbly, yellow state. 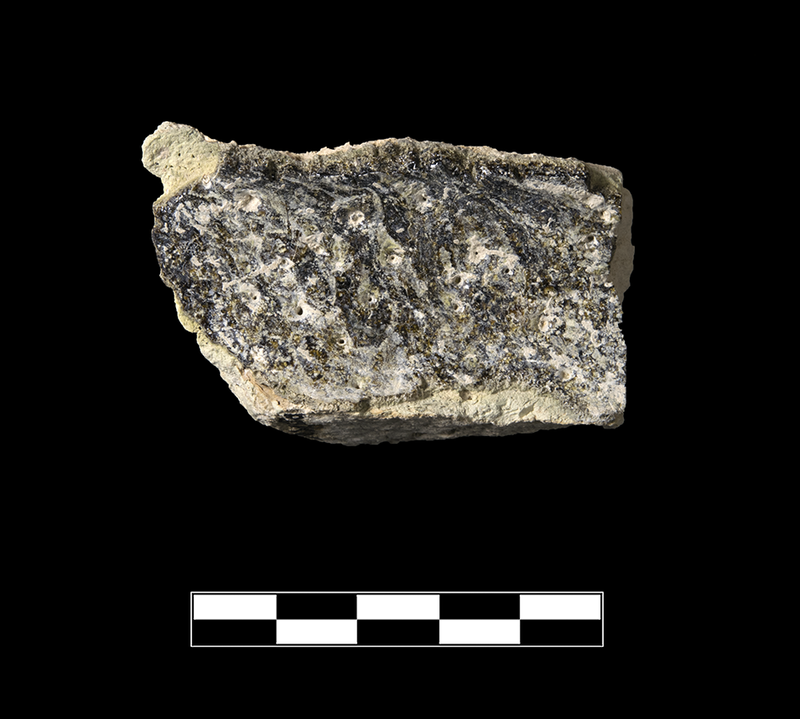 Small area of cracked, disintegrating, black glass survives on part of slightly concave surface. p.L. 0.033, p.W. 0.021, max. p.Th. 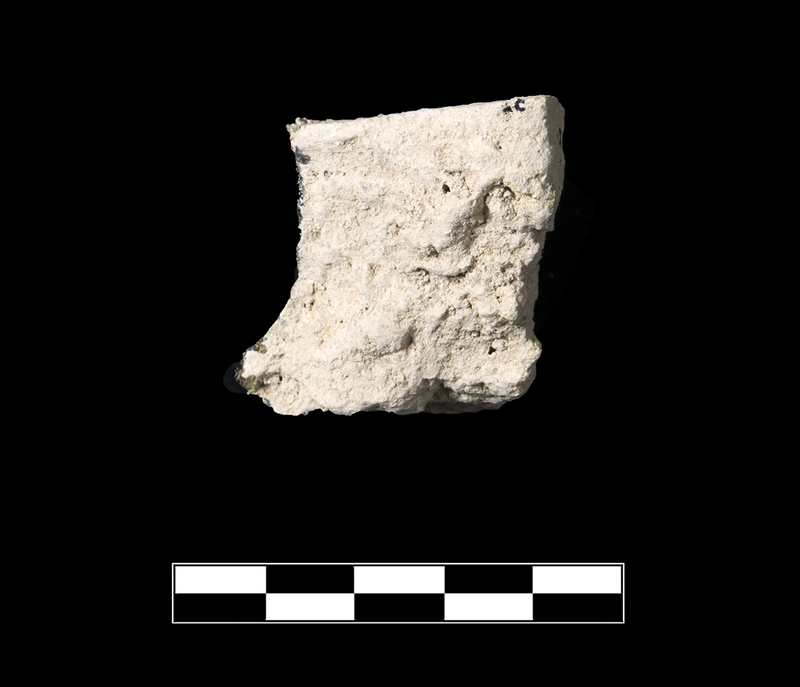 sherd 0.026, Th. glass 0.002 m.
Brittle, coarse, light buff fabric with rare to uncommon, small, subrounded, white and red and gray inclusions. Glass, shiny and uneven with many small holes from burst bubbles (rapidly cooled), ranges in colors from light yellowish-green (PMS 468C) to brownish black (PMS 7532C) to black. 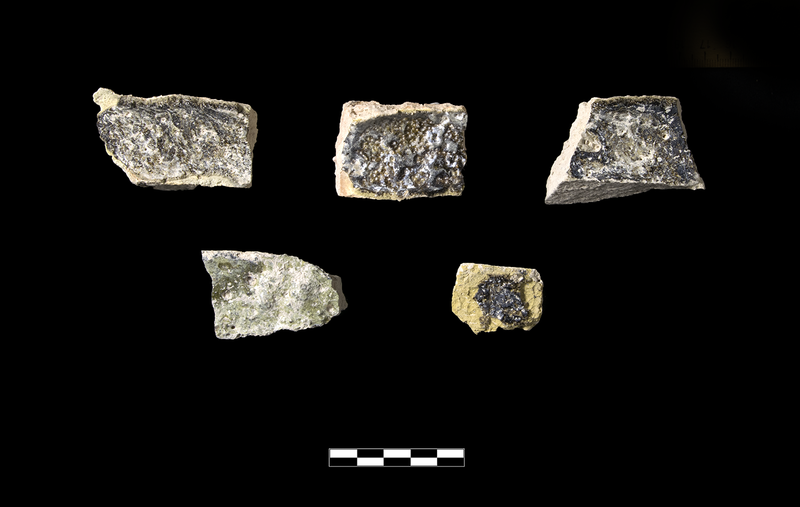 Five small, nonjoining, irregular fragments. Slight, extensive abrasion; scattered traces of encrustation. Slight, extensive abrasion; scattered traces of encrustation.